You can download the Microsoft BizTalk Server 2010 VHS from here and BizTalk EAI and EDI tutorials in MSDN. As well as you can download the BizTalk Server 2010 labs from this link. you can find more details about how to prepare for the exam from soa thoughts blog. AppFabric gives us a single unified view of the cache for distributed applications. Just read about this in MSDN. Caches any serializable CLR object and provides access through simple cache APIs. Supports enterprise scale: tens to hundreds of computers. Supports dynamic scaling-out by adding new nodes. Backup copy provides high availability. 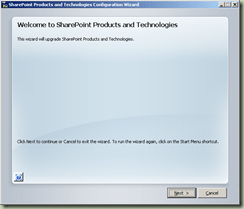 Integration with administration and monitoring tools such as PowerShell, Event Tracing for Windows, System Center, etc. Provides seamless integration with ASP.NET to be able to cache session data in without having to write it to source databases. It can also be used as a cache for application data to be able to cache application data across the entire Web farm. Follows the cache-aside architecture (also known as Explicit Caching) for V1. 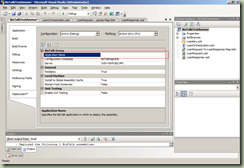 That is, you must decide explicitly which objects to put/remove in your applications and the cache does not synchronize with any source database automatically. 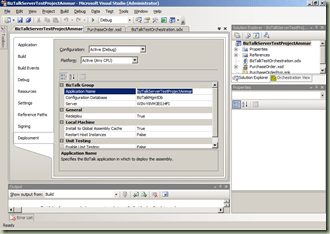 This is a Visaul Studio .NET 2008 add in that we can use to generate data contracts of a schema (XSD types). 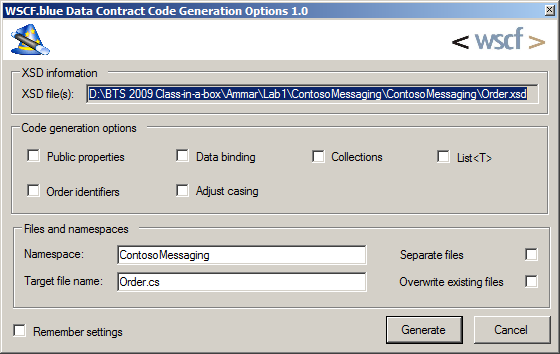 Earlier we were using the XSD2Code generater to generate our contracts but it lacks some features such as ordering, etc. In that case we have to do those modifications manually. Finally the WSCF.blue is a good tool and we don’t have to do anything manually. Using the wizard we can accomplish what we need. you can download the tool from codeplex. 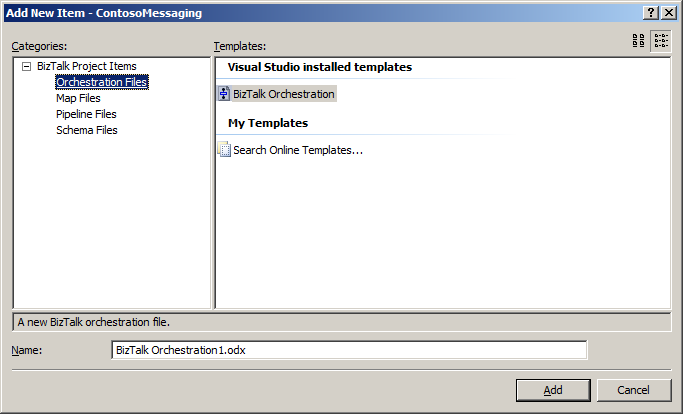 I couldn’t find the Orchestration Files template in VS 2008 when i tried to do some testing projects today. It was there and couldn’t understand why it did disappeared suddenly. 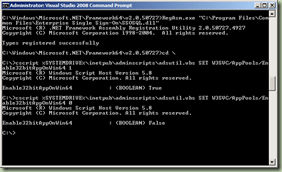 just run the command using the Visual Studio 2008 command prompt : devenv /installvstemplates to reinstall your templates for VS 2008. For you to resolve the error just Update Value data in the Edit String dialog box to include the btproj project extension in addition to the csproj. So the finally entry in the value data should be csproj;btproj. But in my case the registry entry was okay and correct. Well i sat for the MCTS 70-235 (Developing Business Process and Integration Solutions using Microsoft BizTalk Server 2006) exam yesterday and glad to inform that i have passed. mmm.. with regard to the paper, most of the questions were related to BAM, BRE, deploying a BizTalk application, debugging BizTalk applications (ex: debugging orchestration, etc), some of them related to schema creation (ex: minoccurs, validating a schema, etc), role links and general BizTalk questions. When you tried to configure BizTalk after the successful installation, if you prompted for an error like the one mentioned above, Execute the following command in Visual Studio command prompt. 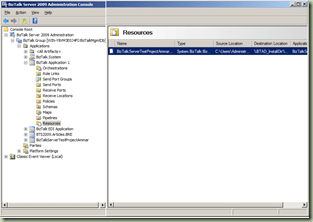 Note : As i am using the Windows 2008 R2 Server, i had to explore to the Framework64 folder. 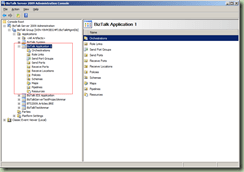 After long time i had to refresh my knowledge about deploying a BizTalk application. I did all these things some time back and totally forgot the things what i did. 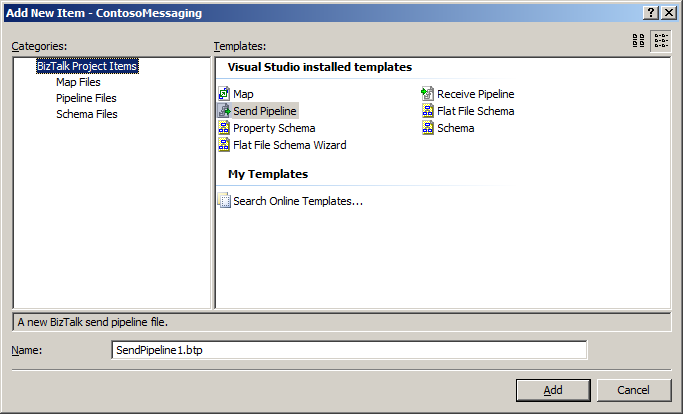 Anyhow after developing a small orchestration sample in VS 2008, i tried deploying the application. 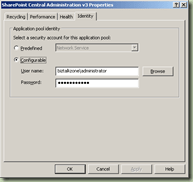 It successfully deploys but i couldn’t see the Application in the Biz Talk Administration Console. totally confused and was searching for the deployed Application name after restarting the service for one, two, three times. I had to make sure is that the schema, map were deployed or not. When i checked in the All Artifacts node, so i was able to find my schema, map were deployed successfully. So after that i had to check the properties of the BizTalk project what i did developed in VS. When i checked the properties so the Application Name was empty. In this case at the time of deploying, VS automatically deploys the application as “BizTalk Application 1” and when i checked the maps, schema folders, all my files were deployed there. 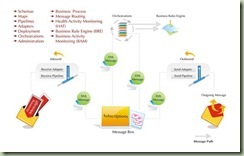 Simply we can say the BizTalk is a Messaging Based Integration Tool and uses XML as the common data exchange language for eCommerce and application integration in the WWW. 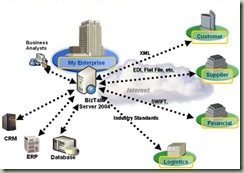 In other words we can say that BizTalk is the main interface in between multiple systems and based on some definitions we can say as “BizTalk Server is Microsoft’s central platform for Enterprise Application Integration (EAI) and Business Process Management (BPM) and embodies the integration and automation capabilities of XML and Web Services technologies. 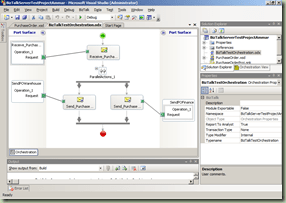 BizTalk Server functions as a process execution engine and as a multi-transport hub for messaging and document transformations. 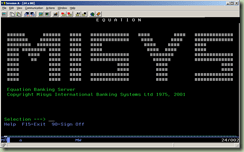 It is a Windows Server System product that helps customers efficiently and effectively integrate systems, employees and trading partners”.